I hope that you enjoy your current reads. Have a wonderful week ahead too. I am eager to read I'll Be Gone in the Dark. 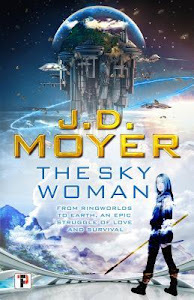 I have it on hold at the library...but I might have to buy it, since it is taking so long. It's such a good read! 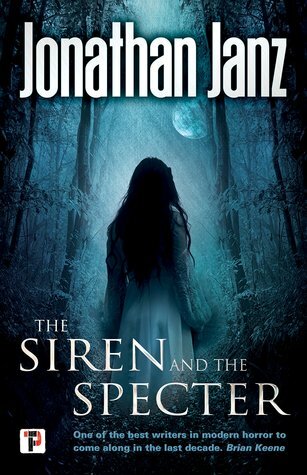 The Siren and the Specter looks creepy. I will have to check that one out. Have a great week of reading! 25InFive is so much more doable than 24in48. Good luck with it! I read a few Bradbury short stories as a teen. He was really ahead of his time in many respects. I hope back to school goes smoothly. Yes! I don't normally do readathons, but it seems manageable. 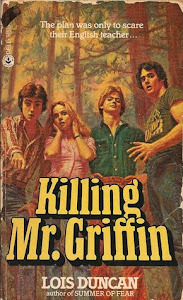 I remember reading Killing Mr. Griffin! I loved Lois Duncan. I really want to read I'll be Gone.. although I am sure I won't be able to sleep for days and days. Eek! Where has this year gone? I am super excited for fall. I have my first introduction to going back to school this year - I already got an email from my son's preschool teacher with a list of stuff we need for school in the fall! Lol. I guess I better get on that. :) Hope your kids have a great first day back! Hi, Erin! I loved Lois Duncan, too. I didn't manage to read them all back then, though. I'll Be Gone in the Dark could definitely make you lose sleep. Aw, I hope he has a great pre-k year! This is my youngest's first year in Kinder. Seriously, where does the time go? Well that’s depressing to hear about Dandelion Wine. I’ve been wanting to read it. Maybe I’ll just pass it up. Yeah, I'm sorry to bring the bad news. I don't think you'd like it, but it could surprise us. You did really well as far as the reading goes. I hope you enjoy this week's books! Personally I love Dandelion Wine, although Ray Bradbury has always been a reliably great author for me :) Looking forward to your review of I'll Be Gone in the Dark! 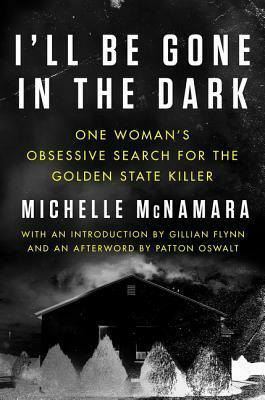 The recent updates have me wanting to finally read it, and I'm always a sucker for true crime stories. Hope you have a great week! I haven't read much Bradbury, but I've absolutely loved what I've read. For some reason Dandelion Wine just did not grab me. :( There were some great moments especially at the end, though. Oh my goodness, that Lois Duncan book is taking me waaay back. :) I loved her books as a kid. Killing Mr. Duncan wasn't one of my favorites, though. Hi Jennifer, I have never read a Ray Bradbury novel yet. Unfortunately none of the others either. I hope you get lots of reading in next week and I am looking forward to fall as well. Hi, Jackie! Dandelion Wine wasn't really hit for me, but I loved Fahrenheit 451 and the short stories that I've read. I’ll have to look for your review of I’ll Be Gone In The Dark. I’m excited to read that one. I read a Ray Bradbury book in high school. It was okay, but I’ve never read another one. Have a good week. Was it Fahrenheit 451? I loved that one. I just read it this year, though, not in high school. I hope you manage to read I'll Be Gone in the Dark. It was really good. I love fall but man summer did fly by. Weird. Sorry to hear Killing Mr Griffin meh so far. That cover has such an 80's vibe or something. 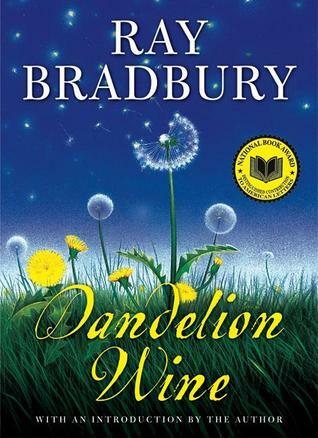 I've never read Bradbury but it sounds like Dandelion wine is having quite the mixed reactions! And The Sky Woman looks good- interesting cover. Well, neither Dandelion Wine or The Sky Woman worked out for me. It happens. Wow, way to go! I don't know if I can do 25 hours of reading in five days without audiobooks. The kids barely let me stay still long enough to pick up a book these days. 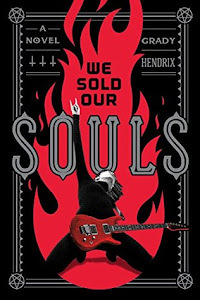 Was kind of hoping to see a slightly higher rating for We Sold Our Souls since I'm really looking forward to that, but glad to see you enjoyed it nevertheless! I didn't make it the whole 25. I only put in about 15 hours, but I needed the boost! I need to write my We Sold Our Souls review soon. It was a good read. I'm not sure I've even put my finger on what was lacking yet. I'm really curious about I'll Be Gone in the Dark. And I'm hoping I like We Sold Our Souls a little more than you did, but I guess we'll see. Good luck with back to school, the summer flew by, didn't it? You might! I really did like We Sold Our Souls. I haven't written my review yet. I'm still processing it. Where on earth did summer go?? I just finished Creature from Flame Tree Press and this Jonathan Janz will probably be the next one from them I pick up. So, please tell me there are no dog incidents in THIS Grady Hendrix. Can you tell I'm not over the incident in My Best Friend's Exorcism??? Haha. No, no dogs, but there's still some disturbing content. I plan to read Creature next. I hope you are enjoying the Janz book, too! 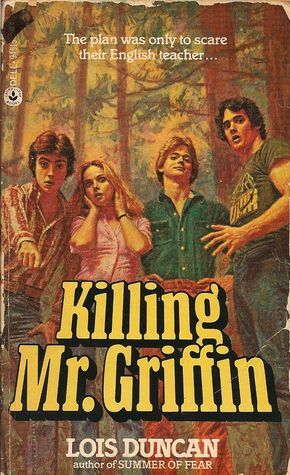 I remember Killing Mr. Griffin to be pretty popular when it was published. I don't think I've ever read it. I did read Dandelion Wine and am definitely in the "meh" camp. Come see my week here. Happy reading! You didn't miss much by skipping Killing Mr. Griffin. Yeah, I wound up in the mah camp for Dandelion Wine, too. I'll Be Gone in the Dark looks so interesting! I'll be excited to hear your thoughts on it. I remember really enjoying Dandelion Wine but I can't actually remember any details now - not a good sign I suppose. My post is here. Have a great week! Most of Dandelion Wine is forgettable, in my opinion. There are a couple of things that will stick with me, though! oh gosh! I loved Lois Duncan when I was a kid. I should revisit! Have a great week! I read Summer of Fear many many years back and liked it. I had no idea that she wrote I Know What You Did Last Summer until I bought it this week! I loved Summer of Fear! I also loved Stranger with My Face. I think those were my favorites. The #25inFive challenge sounds like fun. Enjoy your books, I have My Best Friend's Exorcism on my wishlist.